The multi trillion dollar a year international payment market is opaque, confusing and expensive. We see a world where foreign exchange is as simple and easy as searching for the best plane ticket online. 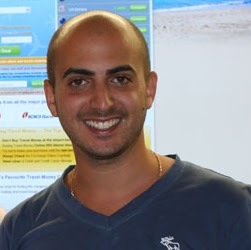 Daniel Abrahams, Co-Founder & Managing Director: CurrencyTransfer.com – Foreign exchange companies bid for your business. You win. We offer companies trading internationally aggregation & instant trade execution on site. MyCurrencyTransfer.com – Award winning private client comparison, helped customers trade over $600,000,000 to date MyTravelMoney.co.uk – The UK’s leading travel money comparison website We fight for greater transparency, access and customer choice.